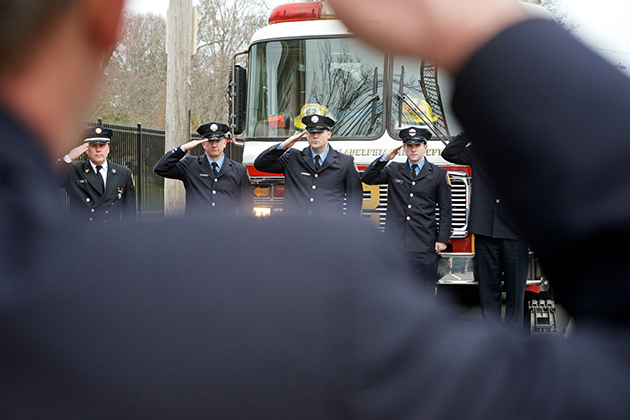 MultiBrief: Do you have a protocol for the death of a fellow firefighter? Do you have a protocol for the death of a fellow firefighter? At some point in everyone's career, there will be a colleague who will die from accidental or natural causes — active employee or retired. Depending on what your fire department establishes as a standard operating procedure, each should be treated in a specific way. First and foremost, you can offer your department's resources to the family; however, abide by the family's wishes. There is no doubt those who serve — whether public servant, firefighter, law enforcement or military — take great pride and honor in their careers. The family should know what their loved one's wishes are for their interment. Anyone with military experience has more knowledge about protocols when it come to these types of events. A department's honor guard or color guard would have knowledge of this and probably has someone in the group who is either active reserve or past military. They would be the "go to" people to establish the sequence of events that should occur. One thing needs to be made clear, though, a line of duty death or a death that resulted from injuries in the line of duty are handled differently than a non-line of duty death. They can also differ if the employee is active, inactive or retired. In a line of duty death, a staging area for apparatus for those who want to participate in the procession needs to be arranged. This requires a large area, such as a parking lot at a mall. A passing of a public servant in the line of duty will bring many other entities from other municipalities and departments to pay their respects. If the area where the religious services are being held is standing room only, there is no doubt that the seating in the facility will be for family first, followed by relatives, close friends and peers who interacted with the deceased on a day-to-day basis at work. Others may need to stay outside during the services. Police escorts will be necessary. Depending on the popularity of the person or their position within the department, more resources may be required than for others. The non-line of duty death should not require all the resources, planning and logistics as that of a line of duty death. Line of duty death or death resulting from injuries in the line of duty. Dignitaries or active high-ranking officials within the department. Active employees, non-line of duty death. Retired high-ranking officials within the department. Retired or inactive former employees. When I was a new firefighter and a retired firefighter had passed, a box that had black citation cords, white gloves and black ties would arrive from somewhere. The least senior firefighter was given an address to go to and offer the family to stand guard by the casket — white gloves, citation cord and tie adorned. Two of us would stand at "parade rest" for 3-4 hours, with no relief or changing of the guard. It was from these events, in the early stages, that our department started an honor guard or color guard. Volunteers were requested and selected. A leader was then designated (preferably an officer). Subsequently, funds were made available to select a standard, special uniform for the voluntary members — formal jackets, name tags, uniform hats, shoes, belts, gloves, citation cords, etc. Also included were ornamental axes, pike poles, flags (department, county/city/state and United States). The honor guard and/or color guard could now be called upon for formal presentation of the colors, marching in parades either with other public servant entities or in front of the fire department procession, graduation ceremonies, out- of-town visitors requiring such services or procedures for meetings and special events, funerals, etc. Personnel volunteering for the color/honor guard would meet regularly to practice marching, take off their uniforms, maintain the ornamental items, etc. It has even evolved into competitions where the color/honor guards are given points for flag folding, marching, pallbearing, uniform inspection, presentation of the colors, etc. Guard members need to take great pride in their appearance and their job, and they must have excellent interaction and respectable skills with others either inside or outside their department. They are at the forefront of any event that involves their department and must leave the best impression for those they represent.